Mr. ShanZuo Zhou and Mr. DaHuang Zhou (the Zhou Brothers) are well-known international artists and businessmen. The Zhou Brothers are both internationally known artists and entrepreneurs born in Nanning China, now headquartered in Chicago. The Zhou Brothers widely considered as one of the most accomplished contemporary artists in the world today are renowned for their unique collaborative work. Presently they are developing the Nanning Zhou Brothers International Art Valley in Nanning China. 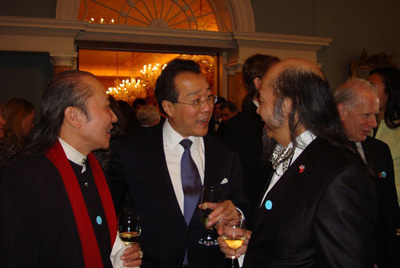 The Zhou Brothers have received numerous distinguished and high awards from the United Nations. Other distinguished awards from distinguished organizations include the American Immigrant Achievement Award, the American Immigration Law Foundation, and awards from the Ministry of Culture, Beijing, China.